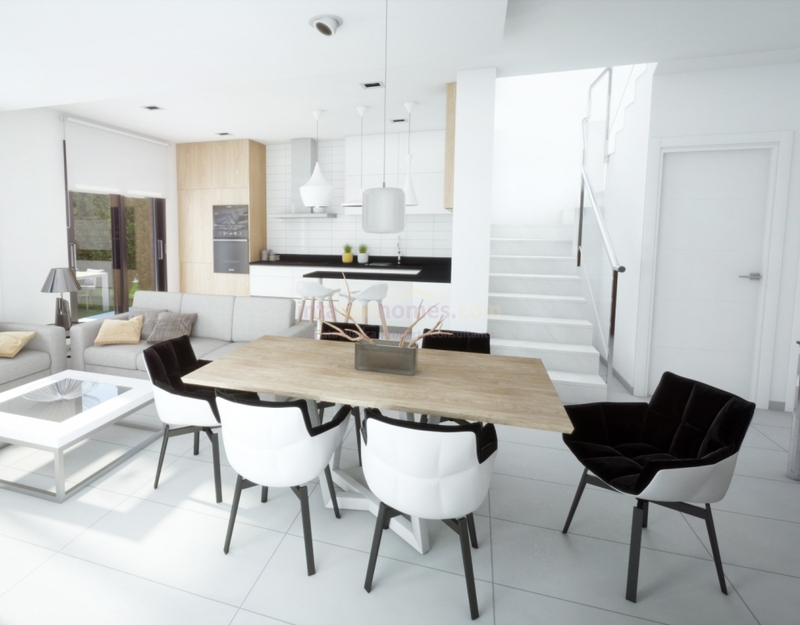 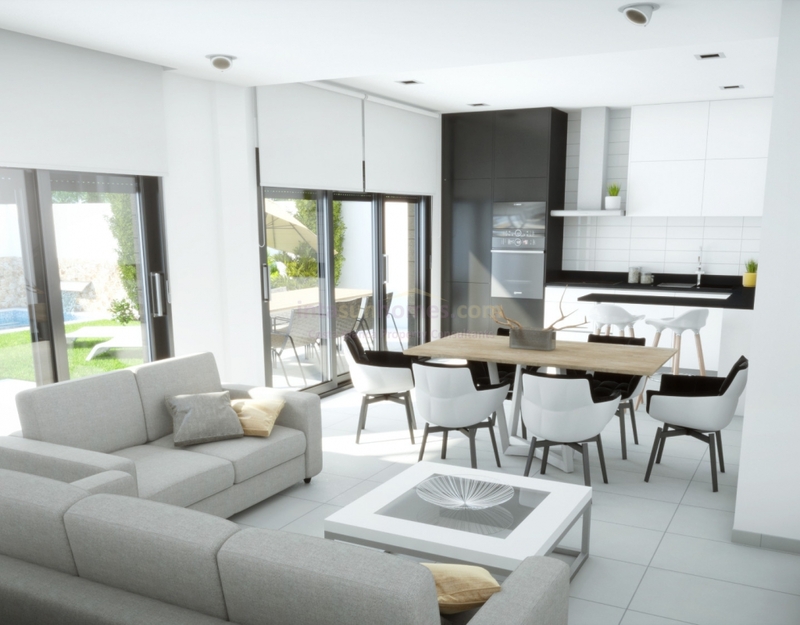 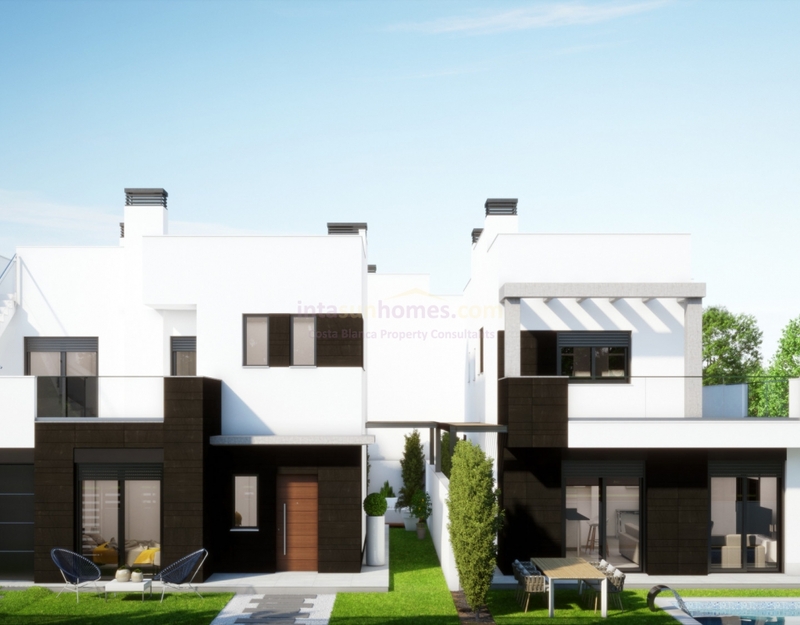 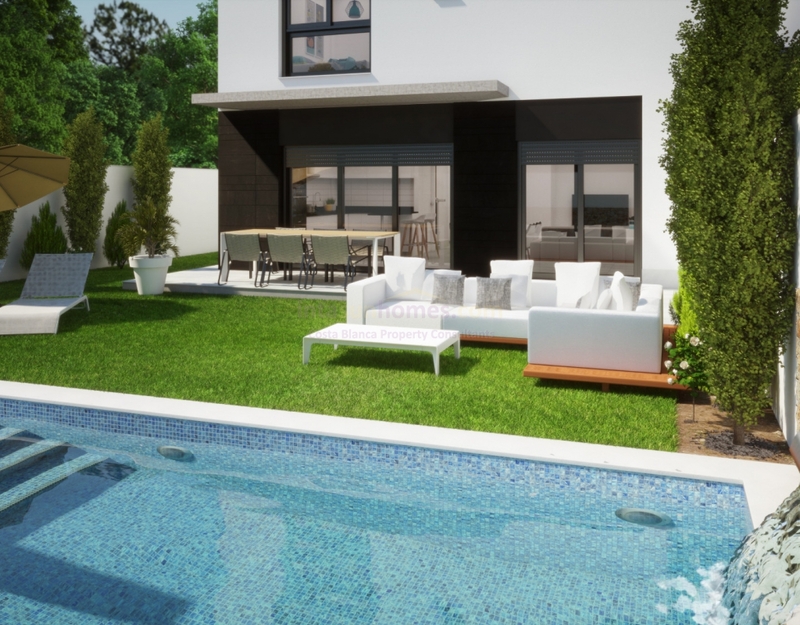 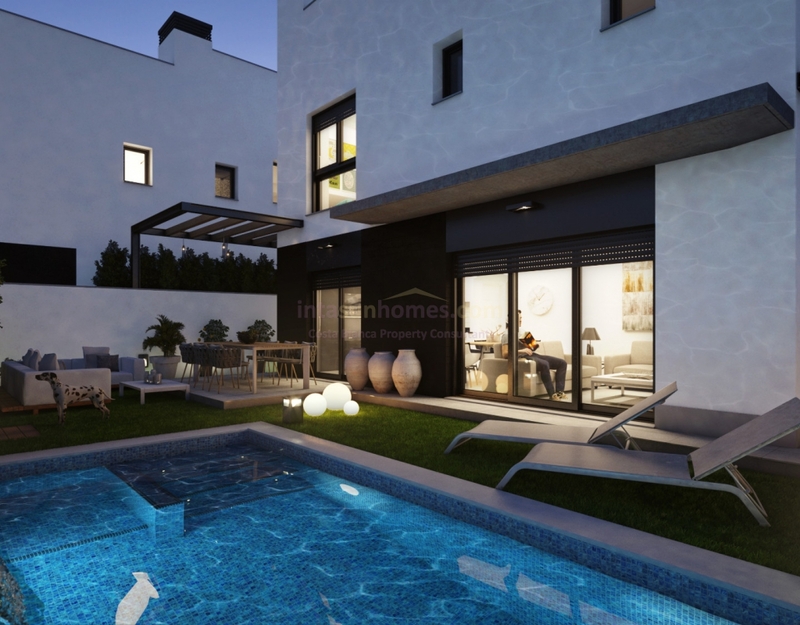 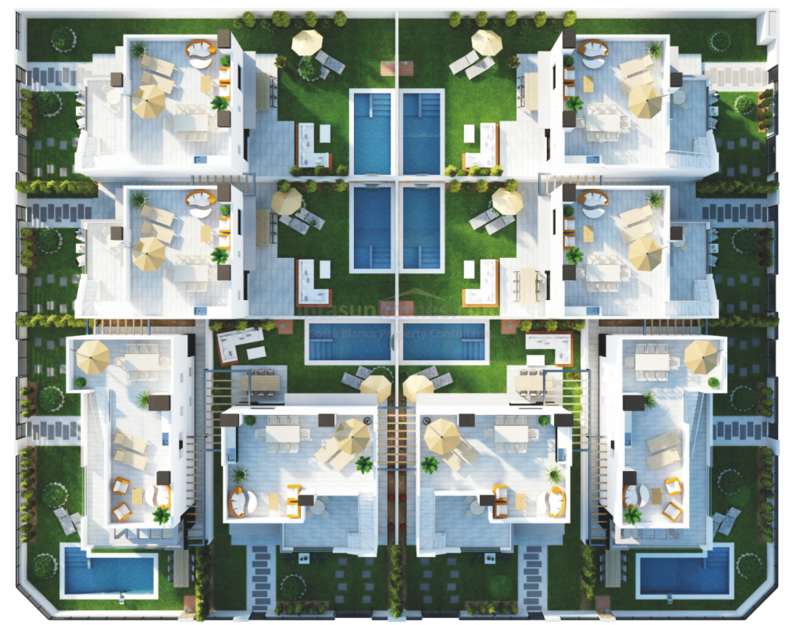 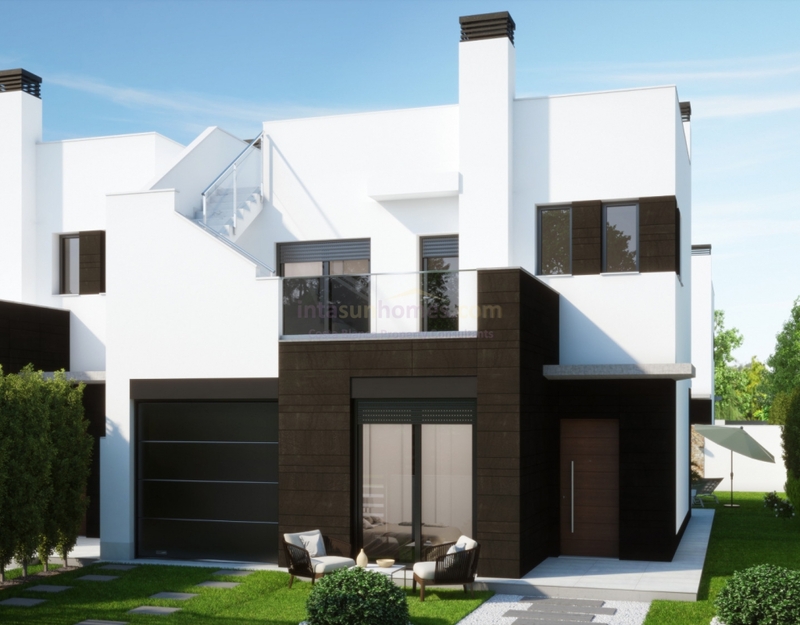 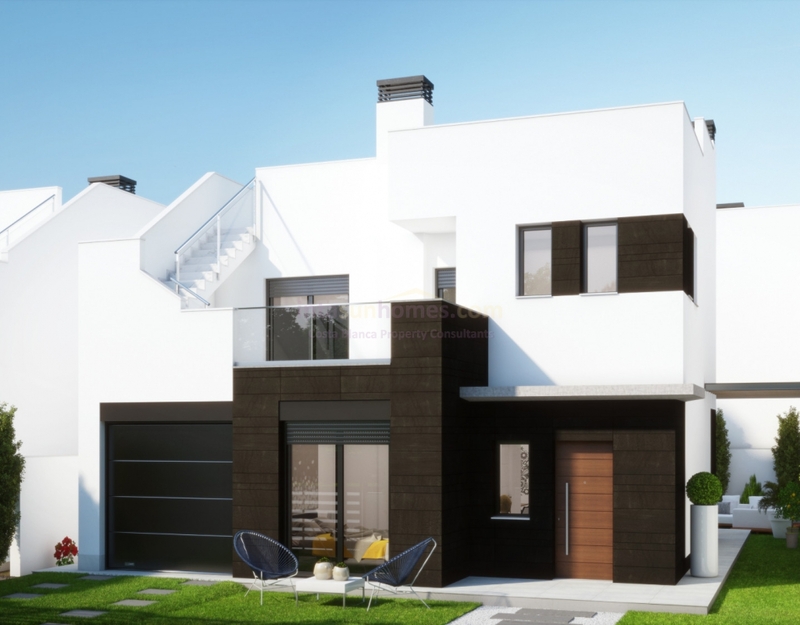 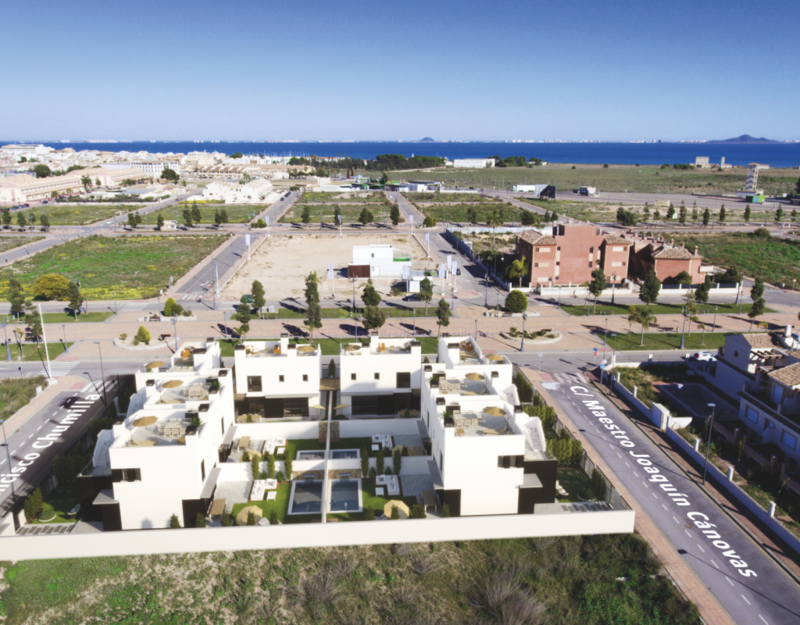 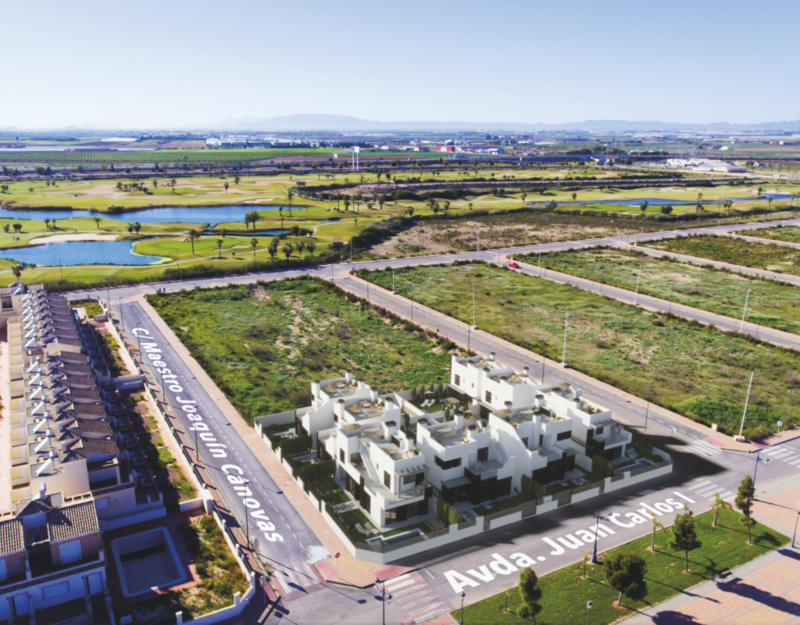 These beautiful detached villas are located on the outskirts of La Serena Golf, an area that is under development and will be provided with all the comforts and amenities, within walking distance of the beach of the Mar Menor, and good access to the motorway to go to the big cities and aiport. 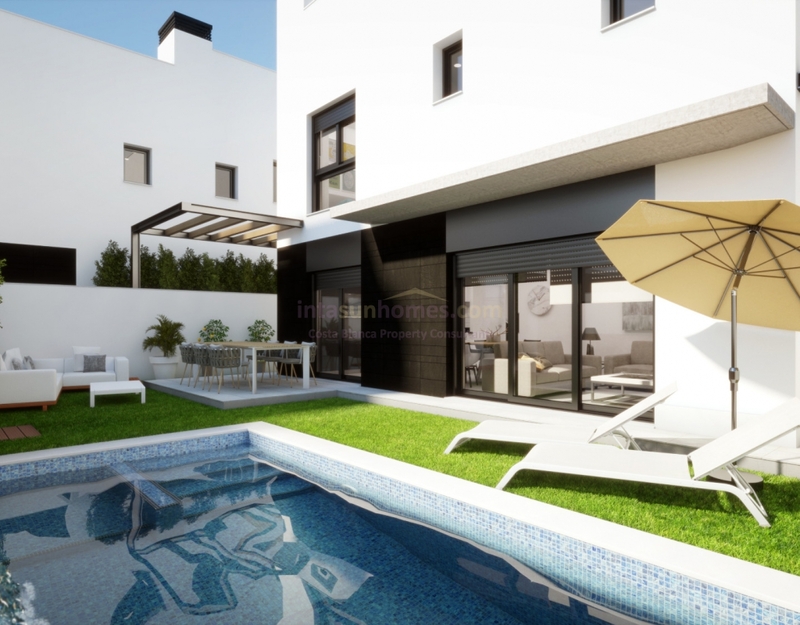 The property consist of a large garden with private pool (optional), terrace areas, enclosed parking space; via large sliding doors there is access to the spacious and well naturally lit living/dining room. 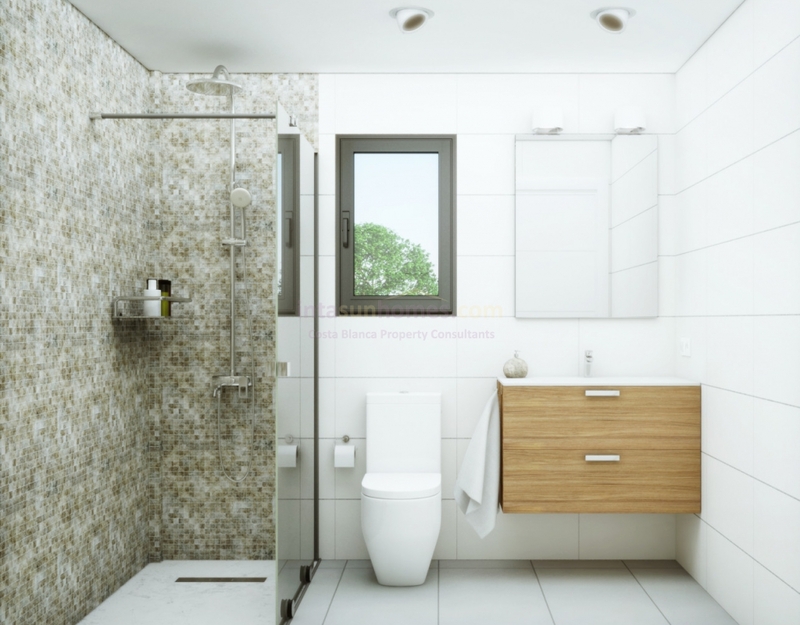 The fully equipped American kitchen consists of high quality products. 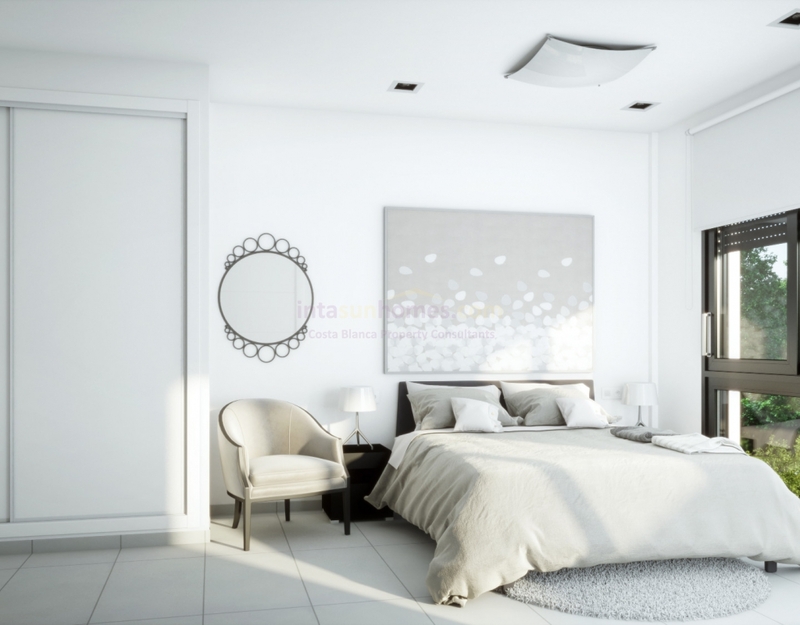 A double bedroom and a bathroom complete the ground floor. 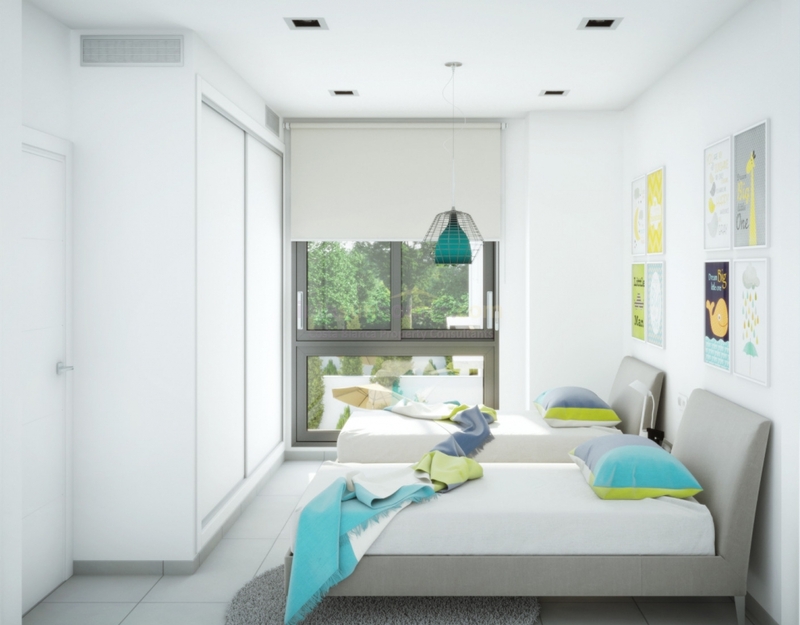 On the first floor there are two double bedrooms with en suite bathrooms, fitted wardrobes and access to a balcony. 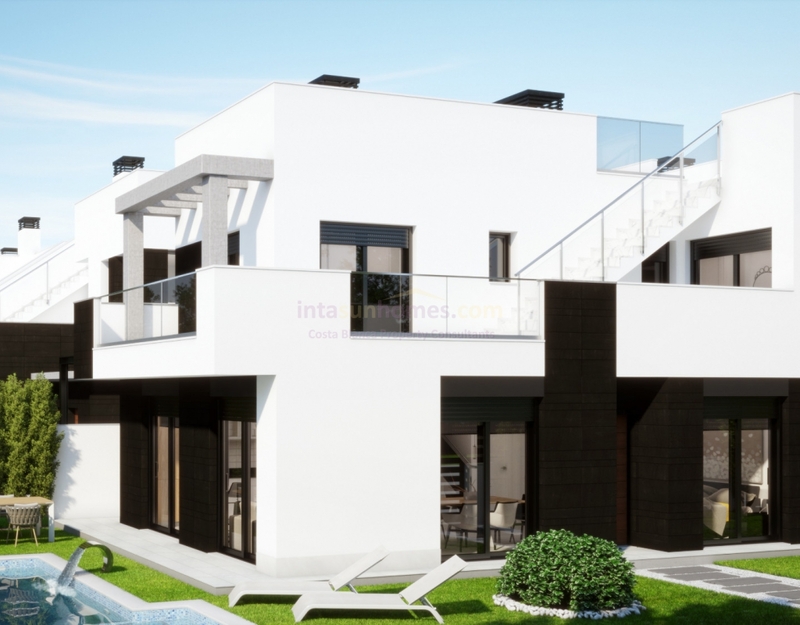 A staircase leads to the solarium where you can enjoy the sweet summer evening while enjoying a drink and the sunset.